← Weekend Review- The Cell Phone Edition. Early Monday morning, I’m talking like 3am, Olivia was up crying in her crib. She has been such a good sleeper lately, only waking once around 5am, so when she wakes up like that, I always think something is wrong. And this time, something was wrong. 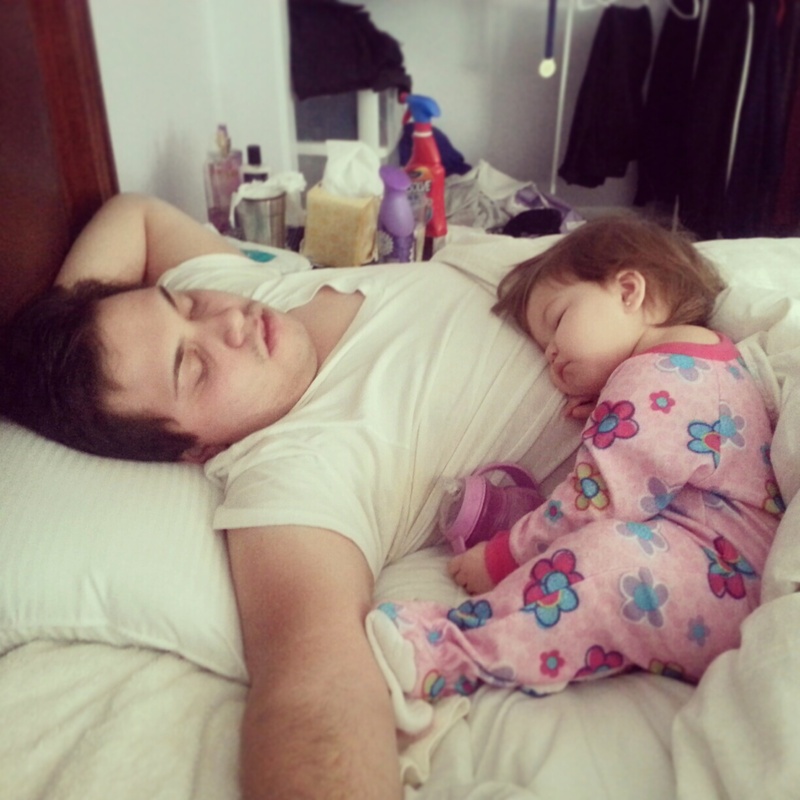 She seemed very clingy when I picked her up from her crib so I, again, brought her in our bed, gave her some milk, and she fell asleep…..for like 10 minutes. 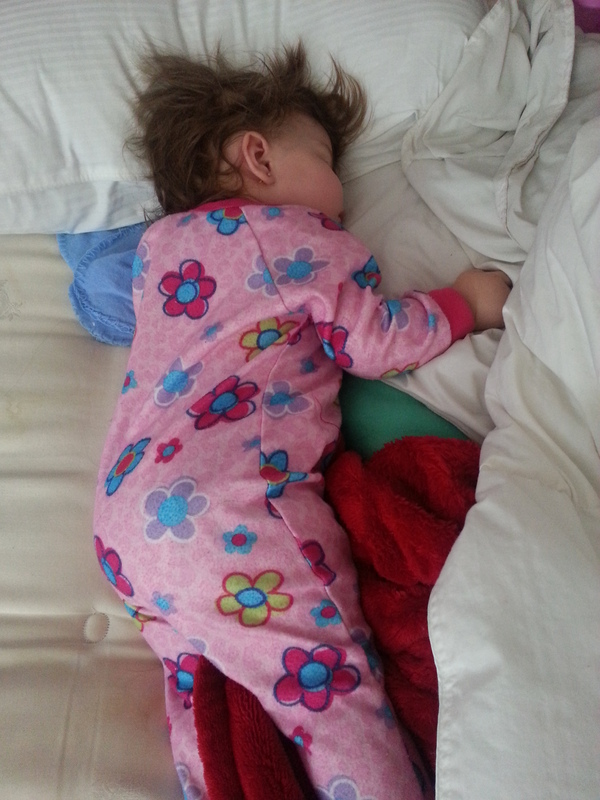 She woke up again really fussy, and whiny and I couldn’t figure out what was wrong, and then it happened. Our little tiny girl was throwing up all over our bed, and all over herself. 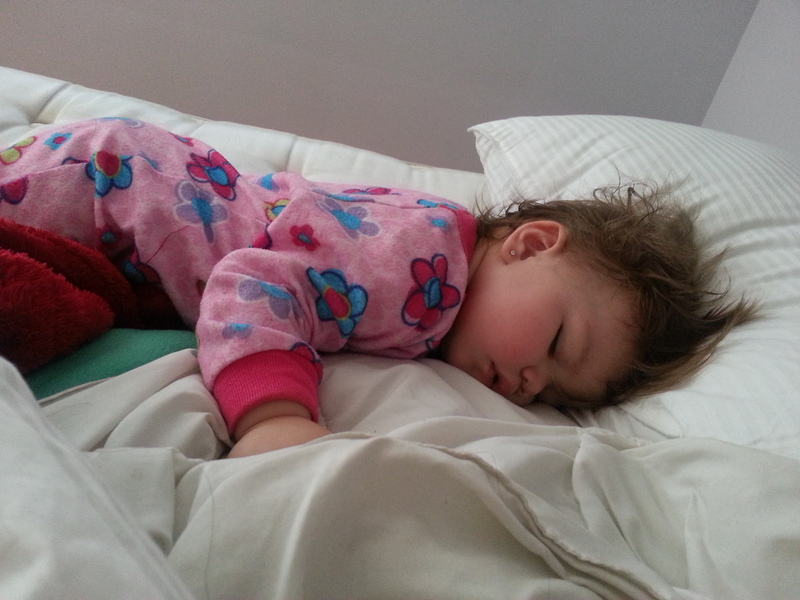 Olivia has been sick before, she’s had fevers, slept all day, runny nose, cough, she’s had it all. But vomiting was never involved and it was a little scary. Dominic went downstairs to get some cleaning supplies, some water, and even a piece of bread for her, while I quickly washed her off in the bathtub and changed her into new pajamas. She must’ve eaten something that didn’t agree with her, or maybe she had too many different foods. Yesterday she had a little bit of a cookie, and at the restaurant she had ground turkey, some cream of broccoli soup, and some mashed potatoes, maybe one of those things made her little stomach upset. Whatever it was, it makes me want to go back to exclusively breastfeeding her for the rest of her life so that this doesn’t happen again. She looked so sad, and miserable, and this next part is going to be so bad to admit but after I gave her a bath, I wrapped her up in one of our towels and she looked so cute just laying there all wrapped up, I wish I would’ve taken a picture. But I didn’t. I was too worried to do anything but cuddle her and make sure she was okay. We thought after all of that, she would just want some extra cuddles, but that she would be okay. But we were wrong. Olivia was up pretty much every 45 minutes throwing up, and then ultimately when there was nothing left, she started dry-heaving. It was seriously so scary and so sad and we felt so helpless. I say it that way because this is only the beginning of Olivia keeping us up all night because she is ill, only the beginning of us worrying about her all night even when she is asleep right next to us, only the beginning of us washing her off in the tub in the middle of the night, and us having to change our sheets and scrub our mattress before trying to get some sleep just to wake up to it happening all over again. We survived our first night, and we are well aware that this won’t be our last. The Parent Club is a tough club to be in sometimes, but it is by far the most important and rewarding club to be a part of, too. Sigh. She is sooo cute. Totally know what you mean. It is so so hard when your baby gets sick. Our little girl just turned 2 and has been sick twice the last month, both time with a high-ish fever, and it suddenly hits you then, how you would do anything to make them better. Bless our little babies.